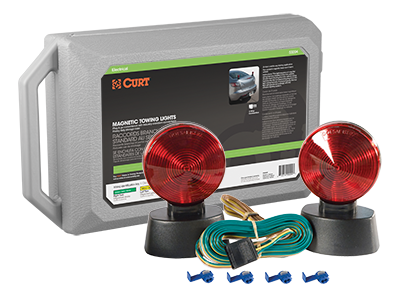 Towing lights are essential to any towing setup, and CURT offers multiple options to accommodate a variety of trailer types. We carry replacement trailer lights, including submersible lights for boat trailers. We also offer magnetic lights for dinghy towing your vehicle.